Over the years that I have been making soap, there have always been questions customers have for me about my products. Today I am addressing the most frequent question I receive about my SOAP! “Do you use LYE to make your soap?” My Answer is YES! 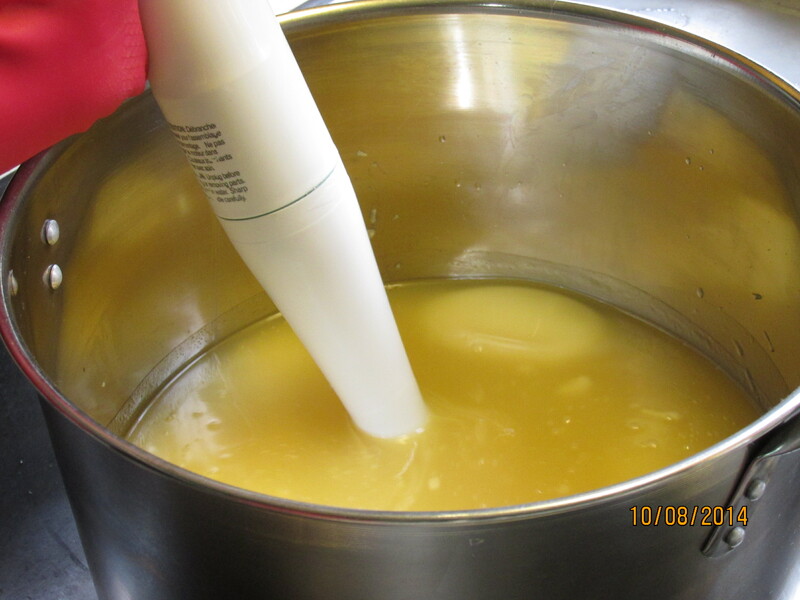 Yes, I use LYE to make my soap BUT the soap no longer contains Lye once it has combined with the oils and cured! Without LYE, also known as Sodium Hydroxide, you cannot have soap!! Even glycerin bars, melt & pour bars, liquid soap…….ALL SOAP requires either Sodium Hydroxide(LYE for bar soap) or Potassium Hydroxide(LYE for Liquid soap) to make it soap. You see, Sodium Hydroxide is a chemical that is harmful ALONE! When you combine it with the right ratio of oils & water, it binds to the molecular structure of each producing a COMPLETELY different element, SOAP! The end result is no longer, Lye, Oils OR water, but a combination of all to produce the soap! The Babylonians were the ones who invented soap at 2800 B.C. when the mixing of animal fats & ashes produced a cleansing product used for utensils & skin conditions. Even today, Lye CAN be made from ashes, rock and hay in a large wooden barrel. Now, Lye is produced commercially so it can be calibrated for modern recipes using exact measurements, thus refined for exactness. It is still a caustic substance that can harm you if touched! Do not approach Lye lightly. ALL precautions MUST be taken when handling it and making soap. The Saponification of the Lye & Oils, (chemical reaction that creates soap) happens over time. 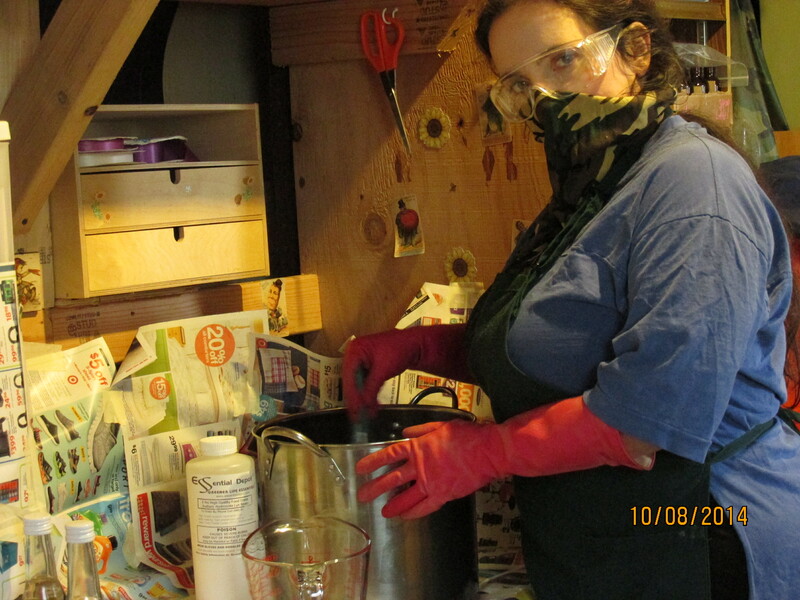 Here I am mixing the Lye into the water wearing ALL of my protective gear! Here you see me mixing the Lye with the water. I am wearing protective eye wear, long gloves and an apron. I am also mixing on a newspaper lined table in my work station AWAY from children, pets and distractions! This is the MOST important! Getting the right temperature before combining the Lye into the oil! 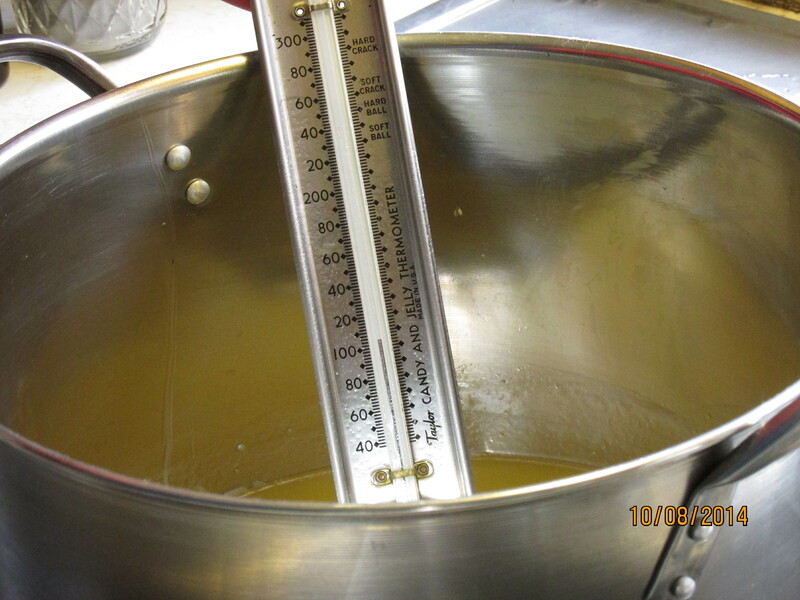 After the Lye has come to the 100-98 degree temperature, I then mix it with the oils of the same temperature. It immediately starts swirling in the pan, showing me that the two are combining. The oils & Lye start combining! “Pudding” like consistency tells me it is ready to pour! Then after it has produced a “pudding-like” texture, I pour it into wooden molds lined with freezer paper for easy removal once it is set. 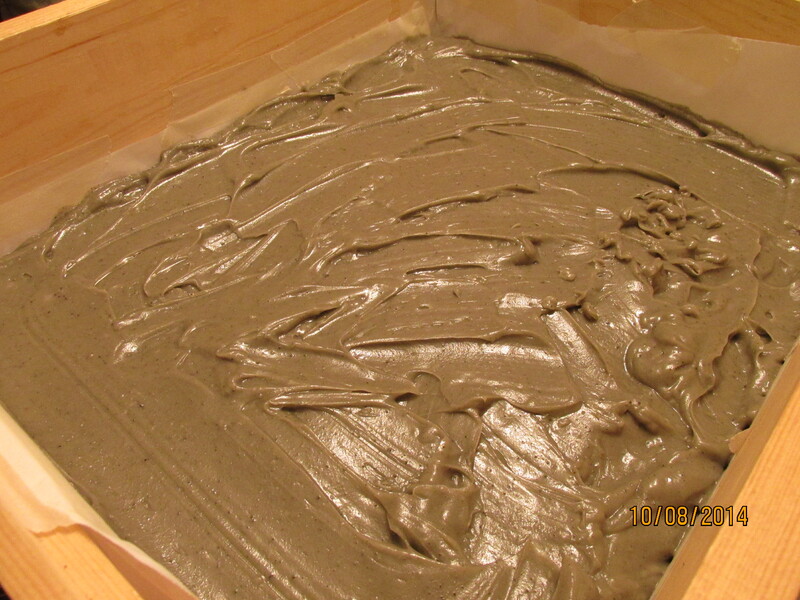 Clay Tea Tree Soap Just poured into the mold! It sits, covered, for 24-48 hours before being cut. It still MAY contain some traces of Lye in the water molecules left in the soap, so I handle WITH my gloves on! They then are exposed to air for 4 weeks minimum, being rotated every day for even drying. They are then ready to use, OR the best option would be to let them dry/cure longer! There is a reason for “curing” the soap. This is to allow the traces of lye that may remain in the left over water found in the soap to evaporate. The longer the soap sits, the better! It will harden up nicely and last much, much longer! Did you know that the longer it sits, the better it gets? ~Without Lye you do not have soap of ANY type! 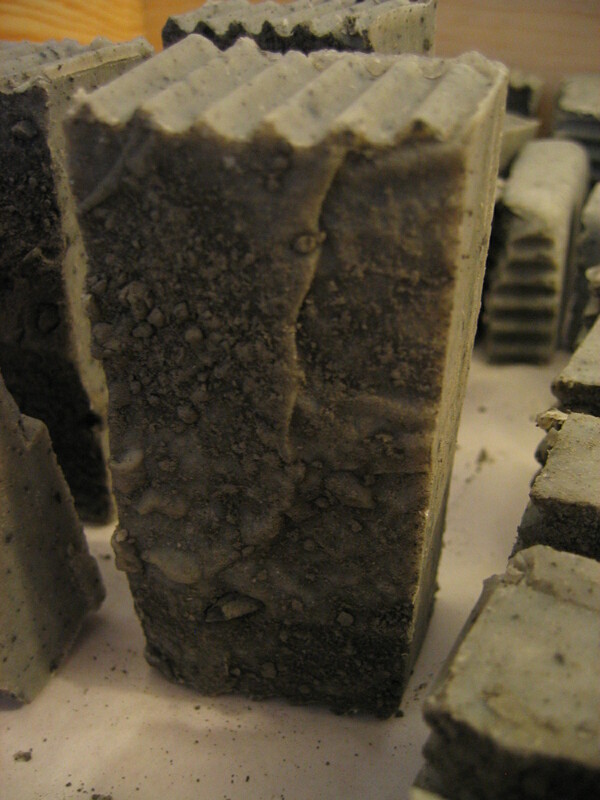 ~4 weeks minimum is needed before soap is ready to use. ~The longer it sits the better it gets! I will be covering different questions that are frequently sent to me about my products! ♦Do you have any questions about my products that you want answered? 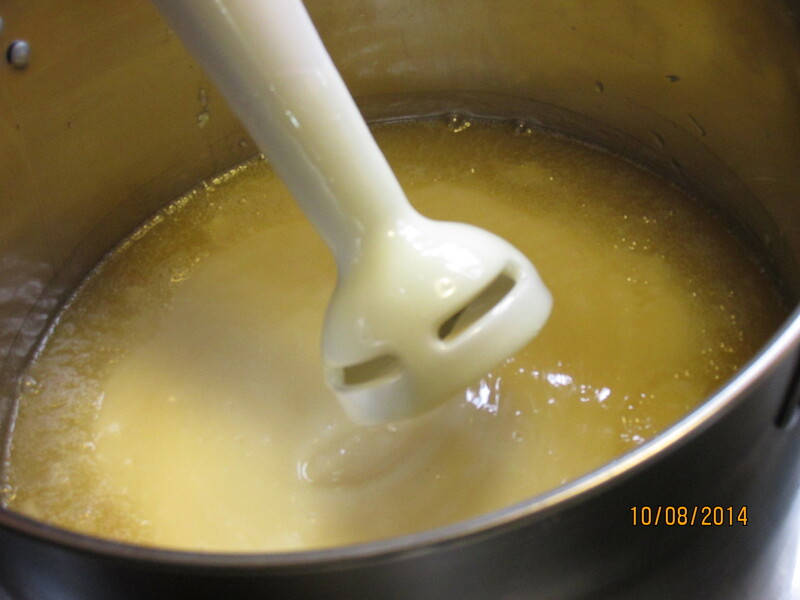 ♦Do you understand the basics of soap making and how LYE is on every soap? My items are featured in a Earth Day Giveaway! There is more to my 3 step Organic Skin cleansing set than meets the eye!